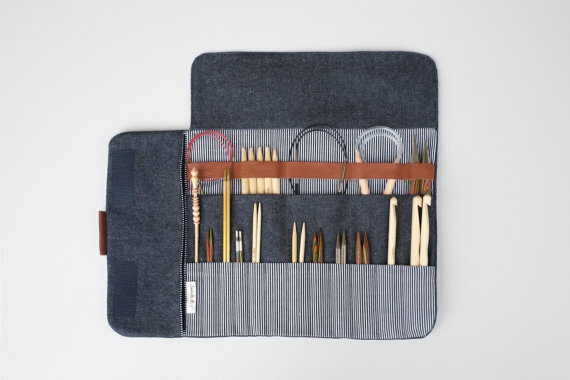 Keep your projects and supplies close at hand with this lovely knitting case. Made from 100% Baltic linen with a satin lining, this bag will give your projects the personal space and love they deserve. Its simple heart design and favorable size make for the perfect bag to take with you wherever you may be headed! 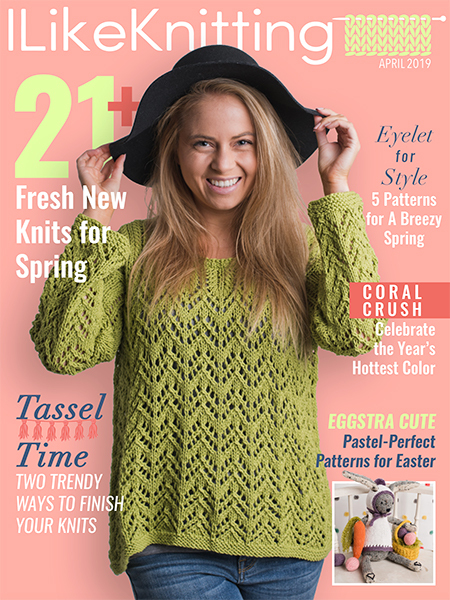 These large snag-free cat stitch market are the purr-fect way to mark the beginning of a round, where to make a particular stitch, and so much more! 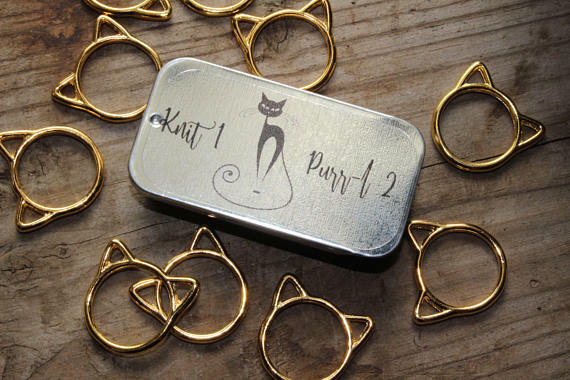 Plus, this set of gold cat stitch markers comes with an adorable tin to keep your markers all in one place. Great for large knit projects, these markers have no splits that could snag your yarn and they glide easily from needle to needle! You’ll never need another needle organizer again with this simple case made to withstand everyday wear and tear as well as changing trends. It doesn’t get much better than this classic, sturdy denim case that you can take anywhere for finishing projects on-the-go! 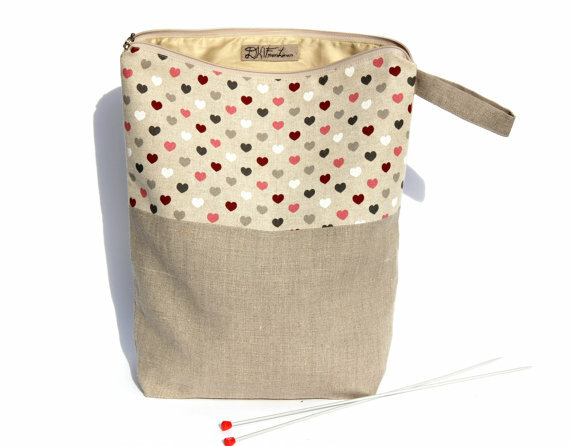 Store your favorite needles, double pointed needles, and circulars all in one case. You’ll even find a secret pocket for keeping stitch markers, scraps, finishing needles, and other small parts so you always have everything you need to complete a project.